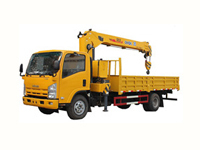 Tele Handler is telescopic handler machine mostly used in agriculture and construction industry and simply works like a boom lift for efficiently lifting and moving heavy load stuff from a single place to another at an inaccessible height. It is a versatile and universal piece of heavy load lifting equipment which can be easily fitted with multiple sorts of attachments including as bucket, pallet forks, and muck grab with efficient handling to move from a forward to backward position from a vehicle. The powerful moving articulated arm provides a function of lifting maximum load capacity to unreachable level with an extended lift height. It was initially introduced by Matbro Company located at Surrey, England. The company manufactured the first telehandler machinery from articulated cross country forestry forklifts composed of a centrally mounted boom on the front side attached with the driver seating on the backside and named it as “Tele Ram 40”. Nowadays, the rigid shaped rear-mounted boom with attached driver cab is getting much popular with an increased level of demand in the market. 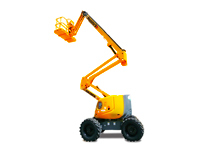 There are some of the leading brand names of telehandler machinery manufacturers in the world such as JCB (under the 'Loadall' brand), Caterpillar, Bobcat, New Holland, Deutz, Kramer etc.